So, as promised…I’m revealing the big surprise that I mentioned a few posts back! Starting tomorrow, Wednesday(in case you didn’t know!) 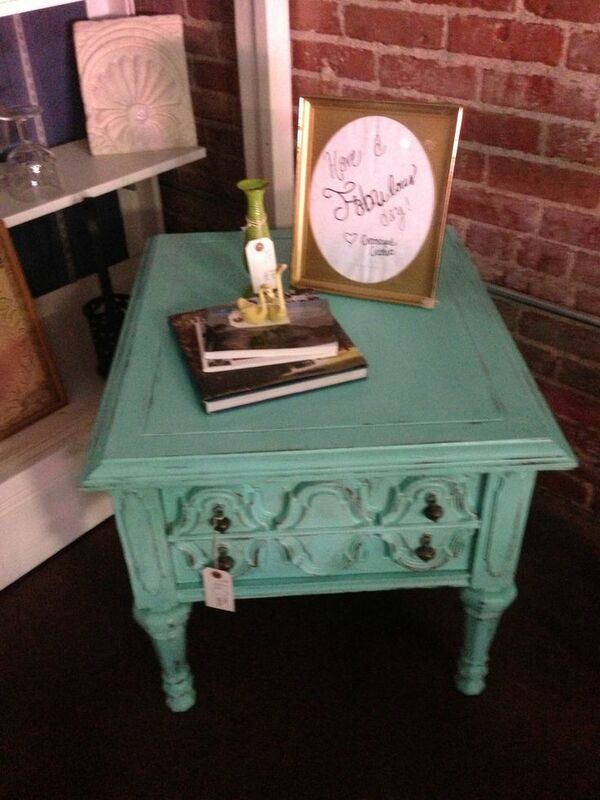 my grandmother’s shop, Crosseyed Cricket will be carrying my refurbished distressed furniture and home goods! I’ve painted and distressed every piece by hand, and it’s taken a LOT of hours-every piece is different! I LOVE the color’s I’ve used so far, they really will make a room pop! I wanted to show you some pictures of what I’m talking about because I think you’ll love it! I know I do! 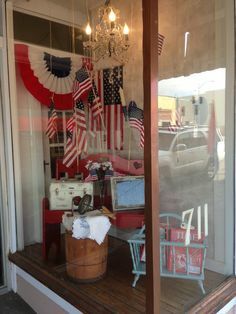 First of all though, here are the Fourth of July windows that I did! I wanted to give off a feel of flags flying in the wind, so I decided to hang them for a cool effect! I also wanted to incorporate some of the things I had made with the things that are already in the store. I made sure to have one red, white, and blue bigger object in both windows, but keeping them somewhat different. 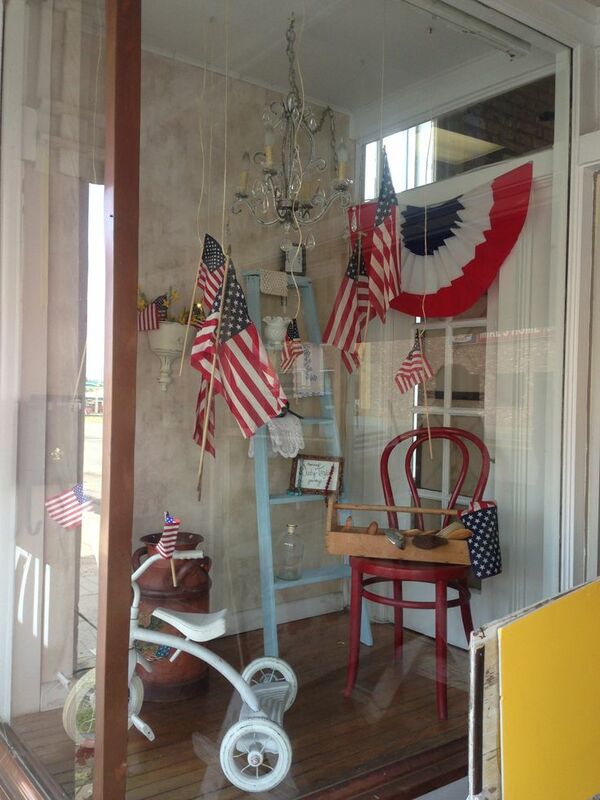 I also used small antique cannons that were laying around the store to really give off the July 4th vibe-enjoy! 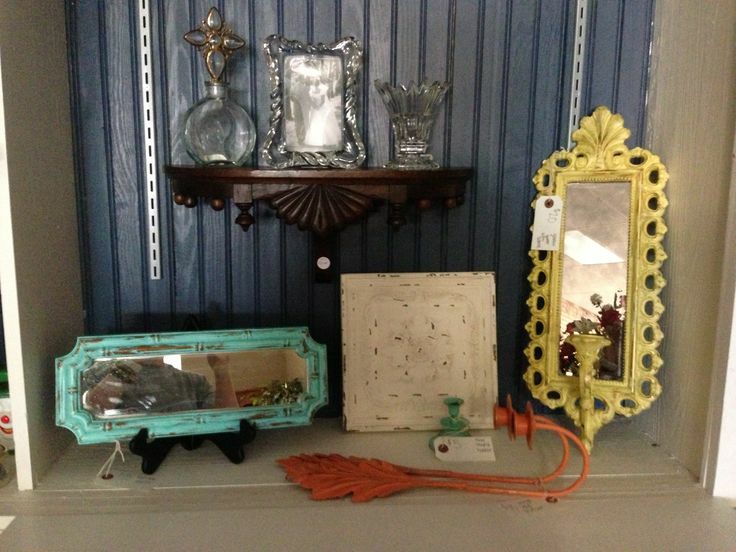 Here are some other options available-a turquoise bamboo mirror that hangs on a wall diagonally, a really cool yellow mirror with sconce that hangs, a small turquoise candle holder, and really awesome orange leaf sconces (perfect for fall)! 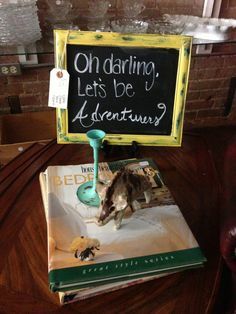 Here is a yellow distressed chalk frame with really awesome blue water color shining through the distress, and a really cute turquoise candle holder that can double as a ring holder! 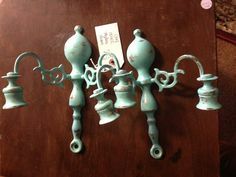 Sorry these are upside down, but these turquoise antique sconces are SO adorable!! I wish I could put them in my room but I’m repainting it soon…turquoise haha oops! 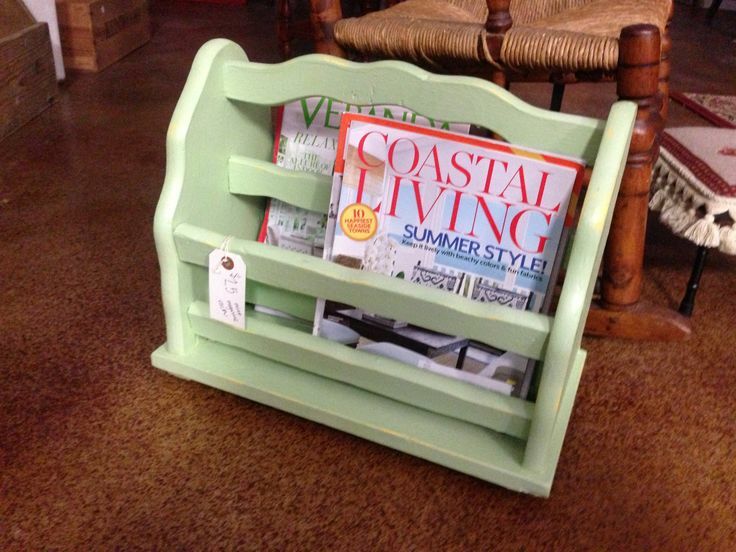 Here’s a great mint distressed with yellow underneath magazine holder! SO cute! 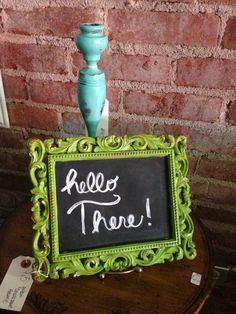 Here’s another candle holder that you can use to display jewelry on and an adorable smaller chalk board frame that is hangable! 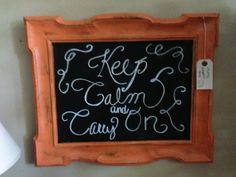 And another larger chalkboard frame! This orange one is SO cute-and it hangs too! 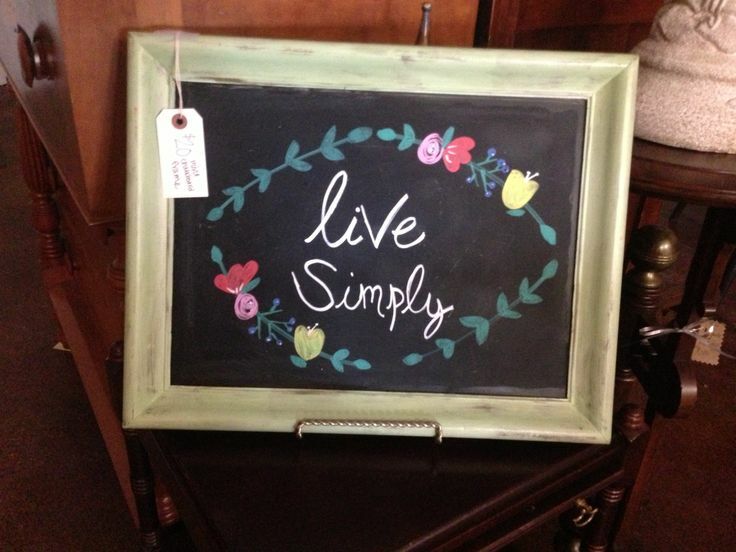 Another mint large chalkboard frame-this would make the perfect gift! 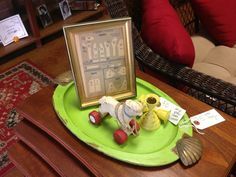 Here’s a FAB green broke tray that would look perfect on a coffee table! This is probably my favorite turquoise chalkboard frame, it’s HUGE-it will be going outside the store for now! But it won’t be there for long! 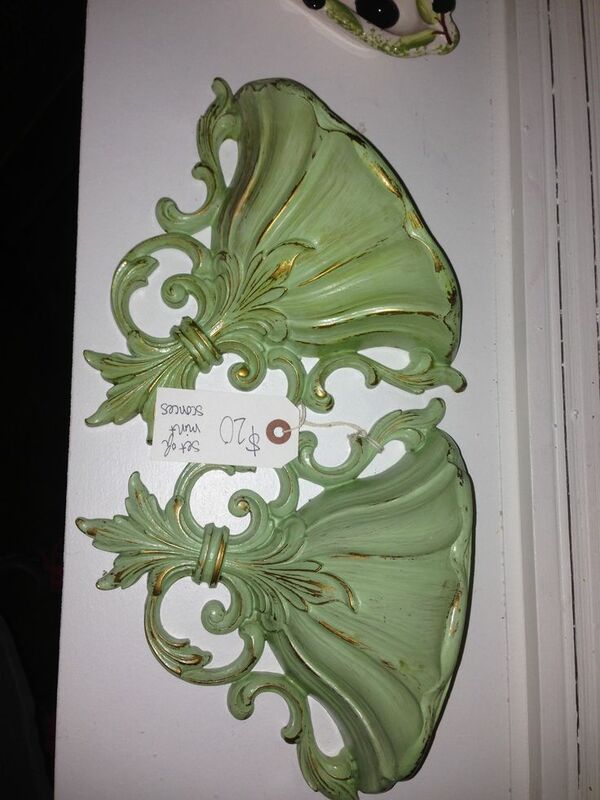 Sorry for another terrible quality, but these green sconces are SO cute! 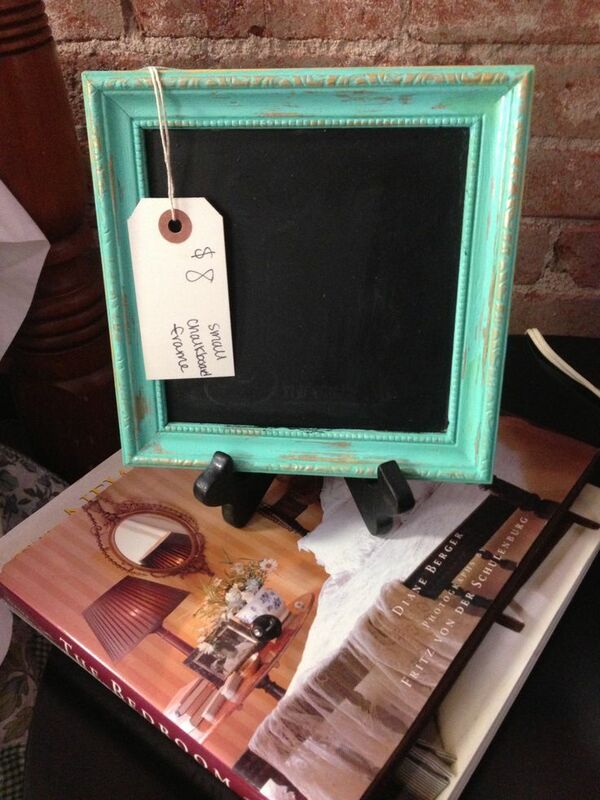 Last but not least here is a perfect gift item-a small square chalkboard frame-that’s only $8! There are a few things in the windows that are of course for sale and a TON more things coming to the store soon that I’m working on right now! There wil be a few more furniture pieces coming, and a lot more smaller gift items! Well that’s my surprise lovely ladies! I hope your as excited as I am about this new adventure! Don’t worry though-I’m still making shorts, I’m working on July 4th ones right now! 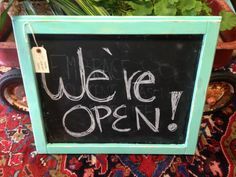 Come in tomorrow through Saturday to check out the new things-I bet you’ll love them! Posted on June 25, 2013 July 31, 2013 by flancake13	This entry was posted in Saturday Shenanigans. and tagged america, antique, candlesticks, chalkboardframe, chalkpaint, furniture, july4th, julyfourth, turquoise, vintage. Bookmark the permalink.